The year is 2142, and the dawn of a new Ice age has thrown the world into a panic. The math is simple and brutal: The soil not covered by ice can only feed a fraction of the Earth's population. Some will live, most will die. In Battlefield 2142, players choose to fight for one of two military superpowers in an epic battle for survival, the European Union or the newly formed Pan Asian Coalition. Armed with a devastating arsenal of hi-tech assault rifles, cloaking devices and sentry guns, players also do battle using some of the most imposing vehicles known to man. 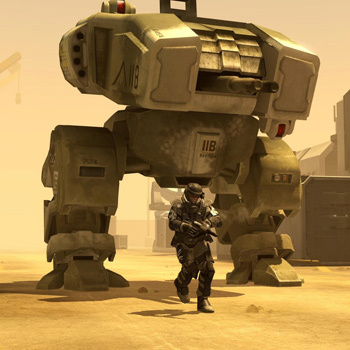 Massive battle Mechs wage fierce combat on the ground, while futuristic aircraft rule the skies. When facing one of these new behemoths, players need to use their wits and an arsenal of new countermeasures like EMP grenades to level the playing field.